"Bottled Note Tells of Eugenie's Jewels"
PARIS, March 29 -- Historians are greatly puzzled over a remarkable document, found this week by a soldier at Mont Louis in the Eastern Pyrenees. The paper, which was found in a bottle, was dated to the 4th of September, 1870, the memorable day on which the Third Republic was established, and Empress Eugenie fled from Paris. It purports to give a list of jewels brought to the Empress by Senor Manuel Perez of Madrid, to be handed over to her in Paris. The Empress is referred to throughout by her maiden name of the Countess de Montijo . The total value of the jewels and other articles enumerated is given as $1,350,000, and among the separate items mentioned are two pearl bracelets, given to the Empress by Queen Victoria and worth $130,000; a pearl and diamond necklace, presented by the Czar of Russia, and worth $100,000; and Bank of France bills for $400,000. On this day in 1863, the Greek parliament elected a seventeen-year-old Danish prince, Wilhelm Georg, to serve as their nation's king. King George I of the Hellenes was the first king of a tumultuous and sometimes tragic dynasty in Greece. 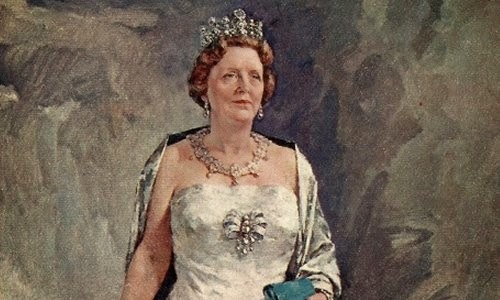 Today, we're looking at some of the grandest jewels worn by his wife, Queen Olga: her emeralds. The queen was born Grand Duchess Olga Constantinovna of Russia. She was the daughter of Grand Duke Constantine Nikolaevich, which means that she was the granddaughter of Czar Nicholas I. Olga was only twelve when she met her future husband for the first time, and she had just turned sixteen when they married. As you'd expect, a Romanov grand duchess marrying a foreign king brought a significant trousseau with her. Among the items that Olga took with her to Greece were a cache of cabochon emeralds, some round, some shaped like drops. The stones were nestled among her other possessions -- including, heartbreakingly, her dolls -- when she arrived in her new homeland. It's that time of year again, readers: the princely family of Monaco gathered in Monte Carlo last night for the annual Rose Ball, an event that benefits the Princess Grace Foundation. Let's have a look at the sparkle on show, shall we? Princess Charlene did not attend this year's ball -- busy taking care of the twins, I assume -- so the first lady for the evening was Princess Caroline. And she definitely dressed the part, wearing diamond bracelets and a gorgeous pair of diamond earrings with one of the sparkliest pieces from her jewelry box: her diamond fringe necklace. The night's theme was Art Deco, and you can definitely see that playing out in Caroline's jewelry and attire. When you’re the wife of one of the richest men in the world, it only seems fair that you should be given a truly remarkable tiara. But I’ll bet even Katharina Henckel von Donnersmarck never predicted that her emerald and diamond tiara would one day be the most expensive tiara ever sold at auction. Royal tours brought out the bling this week -- be sure to vote for your favorites in the poll! 10. Queen Letizia of Spain had planned for these simple earrings to be a part of the first event of a state visit to France this week; however, the visit was cut short after a German aircraft flying from Barcelona tragically crashed in the French Alps. "Rare Rubies Seen at Court"
LONDON, Mar. 26 -- At the two courts held this spring, rubies were the favorite gems, and some of the finest of these stones in England were to be seen. At the first court, Queen Alexandra wore the Cullinan diamond , and at the second she wore on her corsage the famous Agincourt stone, a pigeon's blood ruby which belongs to the crown of England [2; pictured below in the Imperial State Crown]. Another wonderful ruby, which makes rare appearances in public and was visible at the second court, was Lady Carew's  uncut stone of 133 carats, which is over an inch long. It was obtained in Persia by Lady Carew's great-uncle  some 50 years ago. On its four sides it carries the names and titles of the four great emperors to whom it belonged. It's no surprise that royal ladies around the world have an affection for aquamarines, the clear and bright gemstone beloved by those born in March. Here are my top ten royal aquamarine jewels -- add your list in the comments below! 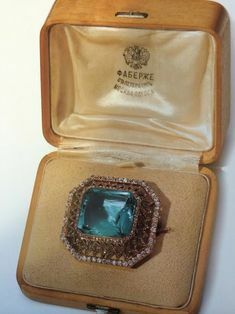 An engagement present from Nicholas II of Russia to his future wife, Alix of Hesse, this lovely brooch features a large Siberian aquamarine. He purchased the piece in St. Petersburg at Fabergé and presented it to Alix in August 1894. Today, it's in the collection at Wartski's in London. While they were extremely fashionable at the turn of the twentieth century, the stomacher, a piece of jewelry that is designed to be pinned to the bodice of a gown, has long since gone out of style. Modern clothes don't really allow them to be worn, so royal examples often languish in the vaults -- or are redesigned. 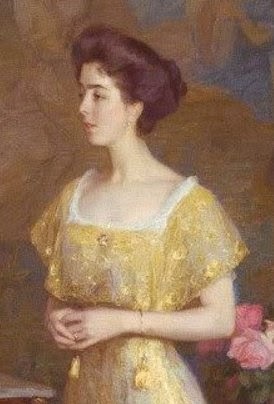 Above, Queen Mary wears one of several examples from her jewelry box. Today, have a crack at the stomacher in Queen Elizabeth II's collection: the one she received as a wedding present from Queen Mary. (Here's more on the stomacher from the Royal Collection website.) She's only worn the complete piece once, though she sometimes wears the bottom section as a separate brooch. If you could reimagine this royal stomacher, what changes would you make for a modern wearer? As we draw even closer to this year's royal wedding in Sweden, the court is releasing new details about the weekend's events. Get excited -- we're going to see some major jewels this June! The wedding will be held on the afternoon of June 13, with a reception that evening. Even though they start in the afternoon, these weddings are generally white tie, because they last long into the nighttime hours. I'm pretty confident we're looking at white tie and tiaras for this wedding, just as we saw at Victoria's and Madeleine's. Many of the Queen's brooches are traditional pieces, inherited from generations past. But there are an increasing number of modern pieces in her collection. Today, we're looking at one of these newer brooches: a ruby and gold jewel made for her by Grima. The brooch is both an example of design from the Queen's reign and a sentimental bauble: it was given to her in 1966 by the Duke of Edinburgh. The piece consists of rubies and diamonds set in yellow gold. Today's tiara, one of the flashiest fringes around, belongs to the princely family of Sayn-Wittgenstein-Berleburg. The SWBs are prominent in today’s discussions about royalty mainly because the current princess, Benedikte, is the sister of both Queen Margrethe II of Denmark and the former Queen Anne-Marie of Greece. She married Prince Richard of Sayn-Wittgenstein-Berleburg in 1968, and she's the current wearer of the tiara. The family’s fringe tiara is from two generations earlier. It was made for Prince Richard’s grandfather (also named Richard) by Koch in 1905. He gave the tiara to his new bride, Princess Madeleine of Löwenstein-Wertheim-Freudenberg (so many place names, this family), who bequeathed the tiara to her grandson, Prince Richard, in 1976. From state visits to animal shelters, royal jewelry was popping up all over the map this week! 10. The Duchess of Cambridge capped off a bejeweled week on Wednesday, wearing her new Kiki McDonough morganite drop earrings to visit the Brookhill Children's Centre. Earlier in the week, she wore her citrine drops with a golden shamrock brooch on St. Patrick's Day and debuted a new tanzanite set at St. Paul's Cathedral. For the brief period in the '80s and '90s when Sarah Ferguson was HRH The Duchess of York, her jewelry collection was a bit more extensive than it is today. Let's have a look at the set of rubies she wore during her royal tenure, shall we? The set is said to have been a gift from the Saudi royals. It's a demi-parure of diamonds and rubies, designed in a modern style and set in yellow gold. (Unfortunately, that yellow gold setting dates the jewels a bit.) Sarah often wore the necklace and earrings with her tiara. Big, glittering state visits from monarchy to monarchy are becoming rarer and rarer these days, but we're in the midst of just such a visit! King Willem-Alexander and Queen Maxima of the Netherlands arrived yesterday in Copenhagen for a visit to Queen Margrethe II of Denmark. The entire Danish royal family gathered to welcome their Dutch counterparts, and there were some major jewels on display! Queen Margrethe chose pearls to welcome her godson, King Willem-Alexander, to Denmark. The Duke and Duchess of Cambridge took part in the annual distribution of shamrocks to the Irish Guards today, and Kate wore a piece of extremely appropriate heirloom jewelry. The golden shamrock brooch that Kate pinned to her coat has a tiny emerald set in its center. It's also been worn in the past by the Queen Mother and Princess Anne. London, Nov. 7 -- The Scotland Yard authorities, acting in conjunction with the police abroad, have caused the arrest of Francis Richard Shackleton, the brother of Sir Ernest Shackleton, the famous antarctic explorer. The warrant was issued some time ago at the instigation of Sir Charles Mathews, the public prosecutor, and, although it concerns the bankruptcy proceedings in the case of Lord Ronald Sutherland Gower, and Mr. Shackleton's management of the latter's estate, it is said at Scotland Yard that his examination is likely to shed light on the mysterious disappearance of the Dublin Castle crown jewels , which created so much excitement five years ago. Ever since the spring of 1908, Mr. Shackleton has been on the continent under surveillance of Scotland Yard. 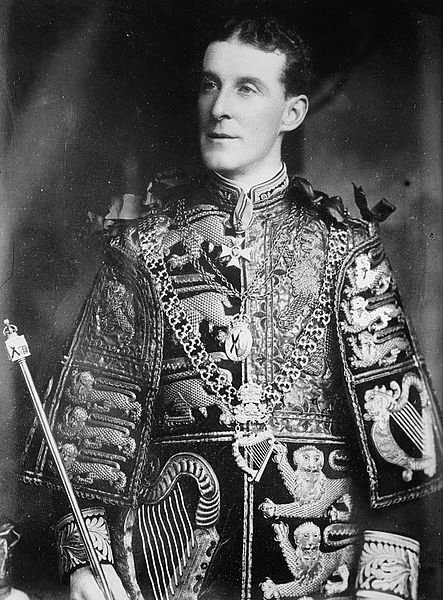 It will be recalled that in October 1907, when preparations were being made to invest Lord Castletown as a Knight of St. Patrick , it was discovered that the regalia of the order was missing. The jewels have an intrinsic value of $250,000, but their sentimental value was incalculable. They were kept in the safe at the castle, in the office of Sir Arthur Vicars  as Master at Arms. This safe was at the right of the entrance to his private quarters, and the room was usually occupied in the daytime by two clerks and carefully locked at night. For no particular reason, except possibly due to the fact that it contained an antiquated safe locked with a complicated and large key, the apartment was known as the "strong room." The senior British royals gathered en masse on Friday at St. Paul's Cathedral in London to commemorate the British troops who served in Afghanistan. Let's have a look at the jewelry they chose for the day, shall we? The Queen selected a brooch that is among the more historical pieces in the royal collection. It's Queen Victoria's diamond and pearl brooch, one of the pieces that she designated as an heirloom of the crown when she died in 1901. HM wore the brooch with her usual daytime pearl necklace and earrings. One of my favorite suits of HM's jewelry is her lovely antique demi-parure of diamonds and sapphires. Let's have a look at this sentimental set, shall we? Like so many of the Swedish royal family's jewels, their ruby tiara came to the Bernadottes in 1905 when Princess Margaret of Connaught married Prince Gustaf Adolf of Sweden. The tiara was a wedding present from Margaret’s uncle and aunt, King Edward VII and Queen Alexandra of the United Kingdom. Unfortunately, Margaret’s story has a tragic end — she never got to be queen of Sweden, as she died in 1920 of an infection after having operation. Her tiaras were dispersed between her children. Today, some are still with the Swedish royals, while others followed Margaret’s daughter, Ingrid, to Denmark. This particular tiara was inherited by Prince Sigvard, Margaret’s second son. Sigvard, who was stripped of his royal title when he married a commoner, sold the tiara; but conveniently, the buyer was Sigvard’s father, Gustaf VI Adolf. This royal appearance came a bit too late to be added to the weekly jewel post, but when a Yorkie appears in gala mode, it's definitely worth acknowledging! Princess Beatrice attended the Alexander McQueen: Savage Beauty Fashion Gala at the Victoria and Albert Museum in London last night. She wore a distinctive cuff bracelet on her left wrist. 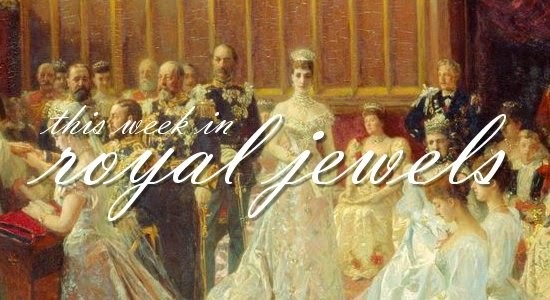 This week's royal jewelry includes a load of brooches, a passel of earrings, and one very interesting beaded demi-parure. Be sure to vote for your favorites! 10. The Duchess of Cambridge wore a familiar pair of earrings -- her Annoushka pearl drops with her Kiki McDonough hoops -- to Margate on Wednesday, but earlier in the week, she also debuted a new pair of Kiki McDonough morganite drops. If you've been watching E! 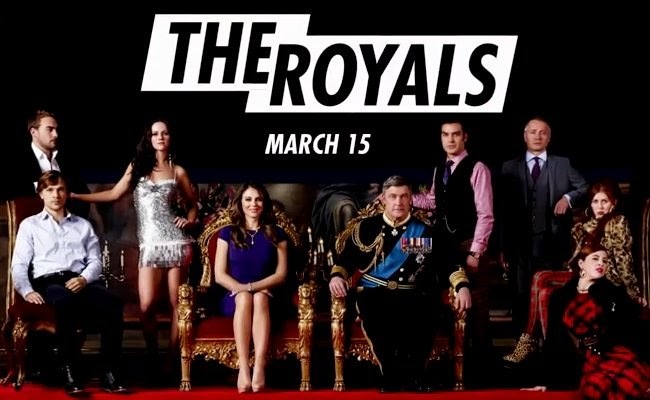 during red carpet events this season, you've probably seen a trailer or two for their upcoming new scripted series, The Royals. The show is a soap-opera take on a fictional British royal family, starring Elizabeth Hurley and the newly-damed Joan Collins. It promises to be equal parts ridiculous and entertaining -- and yeah, I'll be live-tweeting it whenever possible. Today, let's have a look at some of the jewelry shown in the show's trailer, shall we? The main character of the show is Elizabeth Hurley's Queen Helena, consort to King Simon. She has clearly been confabbing with her European counterparts, Mathilde and Maxima, regarding Very Big Earrings. 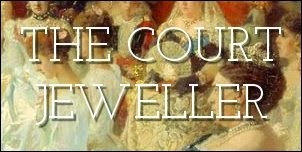 Another new month = another new Magpie of the Month at The Court Jeweller! To celebrate Princess Eugenie's upcoming birthday, we're going to be peeking into the jewelry boxes of the York women this March. Today, we're starting off with one of their nicest sets of jewelry: the diamond demi-parure that belongs to Sarah, Duchess of York. In 1986, Sarah Ferguson married the Queen's second son, Prince Andrew. As a wedding present, she and Prince Philip purchased a tiara for their new daughter-in-law from Garrard. But that wasn't their only gift. 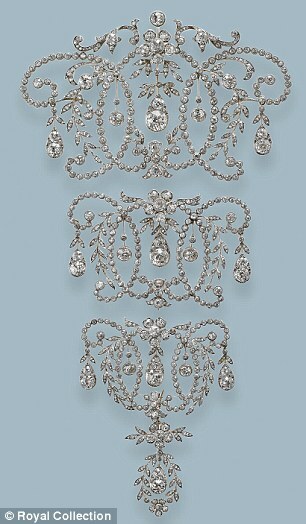 They also bought a diamond demi-parure of jewels in a modern floral design from Garrard. The set consists of a necklace, a bracelet, and a pair of earrings. The set was valued at around $500,000. The Big Six of the Windsor family -- the Queen, the Duke of Edinburgh, the Prince of Wales, the Duchess of Cornwall, and the Duke and Duchess of Cambridge -- gathered at Westminster Abbey yesterday for the annual Commonwealth Day service. The royal ladies didn't disappoint, bringing out gorgeous familiar pieces and a bit of new bling, too. The Queen wore her usual daytime staples: a three-stranded pearl necklace, pearl stud earrings, and a brooch. This time, she chose her round gold brooch with a delicate floral pattern, a piece she's been wearing since the Diamond Jubilee. 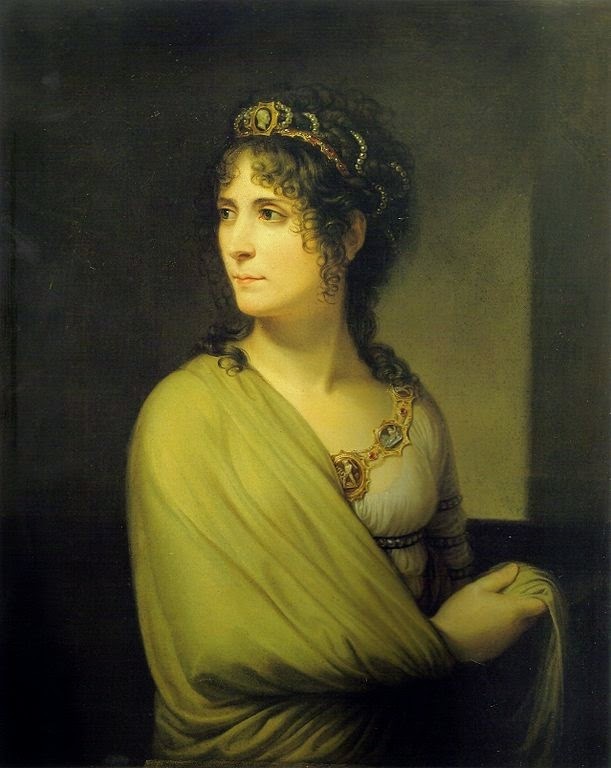 Two hundred nineteen years ago today, Joséphine de Beauharnais, the Caribbean-born widow of a French aristocrat, married Napoléon Bonaparte, the French military commander who would one day become the country's emperor. Joséphine wore a number of gorgeous pieces of jewelry in her lifetime; her descendants, who have married into numerous royal families, have continued her bejeweled legacy. But how many of the pieces of jewelry said to have come from Joséphine's collection were really worn by the empress? Today, let's take a look at seven pieces often linked to Joséphine -- and we'll discuss whether or not their imperial provenance is genuine. King Carl XVI Gustaf of Sweden, the nation's reigning monarch, is a direct descendant of Empress Joséphine through her son, the Duke of Leuchtenberg. Numerous pieces of the family's jewelry are said to have come from Joséphine's collections. One set, the family's parure of cameo jewels, is often specifically said to have been worn by Joséphine. The set depicts scenes from the myth of Cupid and Psyche, and the tiara is often worn by Bernadotte brides on their wedding day. Made in the first decade of the nineteenth century by Marie-Étienne Nitot, Napoléon's court jeweler, the set is said to have been made for Joséphine before her divorce in 1810. There are no portraits of Joséphine wearing the cameos. But her daughter, Hortense, was painted in the cameo tiara in 1812. Either the cameos were made for Hortense -- and as she was briefly Queen of Holland, she had some major jewelry -- or they were made for Joséphine, who then gave them to her daughter. Furthermore, Vincent Meylan has argued that Joséphine merely loaned the cameos to Hortense, and that they were later inherited by her son, the Duke of Leuchtenberg. Among the Queen's enormous collection of brooches, there's a number of pieces that have serious sentimental value. One of these is a brooch in the shape of a basket of flowers. It's been in her jewelry box for almost 70 years. The flower basket brooch -- which Leslie Field notes is an example of what is sometimes called a "giardinetti," or "little garden" -- was given to the Queen in 1948 by her parents. It was a present to mark the birth of her first child, Prince Charles, who also happened to be a future heir to the throne. When tiara lovers today hear the phrase “wedding gift to Queen Mary,” you can almost bet that their thoughts turn quickly to one of her most famous sparklers, the Girls of Great Britain and Ireland Tiara. 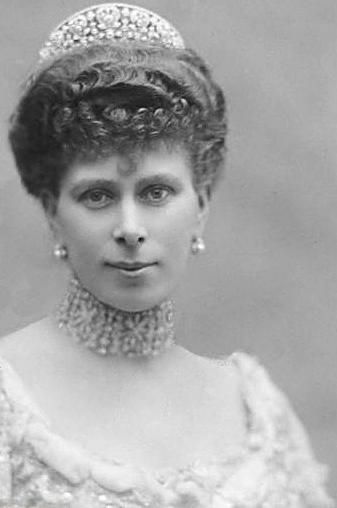 But that wasn’t the only tiara that Mary was given to celebrate her marriage to the future King George V — today’s sparkler, the Iveagh Tiara, was also included in her nuptial jewelry haul. The tiara takes its name from the couple who gave it to Mary: Lord and Lady Iveagh, Irish aristocrats who would eventually become an earl and a countess. The Iveaghs were members of the famed Guinness family, and the tiara’s name is pronounced like their Irish title: either as “eye-vee,” like the plant, or “eye-vah.” The Iveaghs’ gift was well-used by the new princess. Unusually, Mary wore this tiara throughout her lifetime without making any radical changes to its form — a rarity for a piece owned by a queen who loved to experiment with her jewels. 10. Nestled among the buttons on her dress, Queen Elizabeth II debuted the diamond horseshoe brooch given to her by the International Equestrian Foundation with their lifetime achievement award. 1677: In November, a royal marriage takes place at St. James's Palace between a pair of cousins who both have close claims to the English throne. The groom, William, is the Prince of Orange; he's the son of the late Princess Royal, and therefore the nephew of King Charles II. The bride, Mary, is the king's niece; she's the daughter of the Duke of York. The marriage is a strategic alliance: Mary is second in line to the throne, while William is fourth. After the wedding, the couple leaves England, settling in The Hague. At some point after their marriage, William and Mary purchase a large, uncut diamond. They have it cut in Amsterdam, and the resulting rose-cut diamond, which weighs nearly forty carats, is set in a brooch. It becomes known as the Stuart diamond. Queen Silvia wore her butterfly brooch for the arrival at Finland's presidential palace. King Carl XVI Gustaf is wearing the sash of the Order of the White Rose of Finland. The Queen donned a tiara that she'd previously worn during a state visit to Mexico: the diamond kokoshnik tiara that belonged to Queen Alexandra. She paired it with her modern diamond fringe necklace and the collar of the Order of the Aztec Eagle. The bands are massed, the carriages are polished, and the table is set: the Brits are officially welcoming the President and First Lady of Mexico to London. Let's have a look at the jewelry worn during this morning's welcome ceremony, shall we? To greet her fellow head of state, the Queen wore her usual daytime pearls with the Palm Leaf Brooch, a paisley-shaped diamond piece that was made for the Queen Mother by Cartier in 1938.